Emergency crews watch a fire burns inside a PECO substation on Fox Street near Westmoreland Street in the Nicetown section of Philadelphia on Tuesday March 7, 2017. 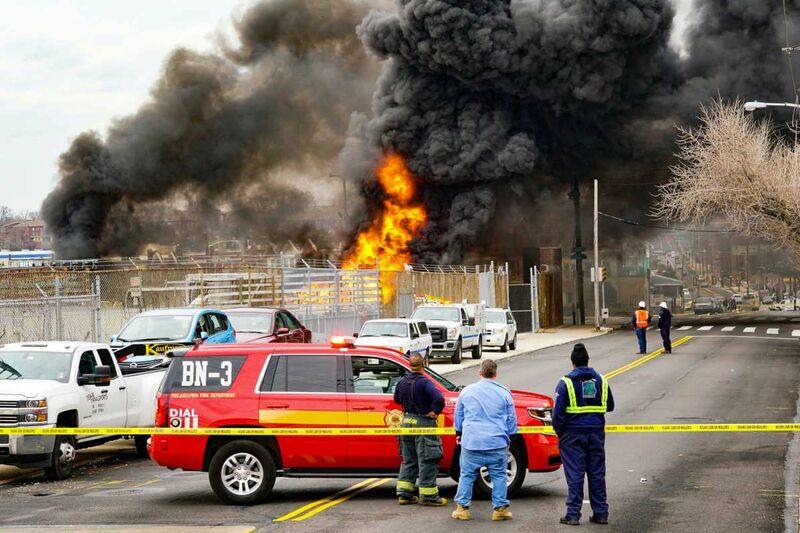 A stubborn fire at a PECO substation in North Philadelphia that at one point knocked out power to 36,000 customers has been contained, officials said. About 3,000 customers in Philadelphia remained without power early Wednesday afternoon. Peco's online outage map listed an estimated restoration time of 4 p.m. for many of those households. Two nearby schools are closed Wednesday due to a lack of electricity: Philadelphia High School for Girls and EW Rhodes Middle School. After-school activities and professional development sessions at those buildings are also canceled. "We are currently working to re-route power in areas where we can to restore service," said PECO spokesman Greg Smore. The cause of the blaze was not known, and no injuries were reported.